Becoming a Licensed Practical Nurse is a great achievement, but it should be seen as only the first step in your nursing career. Once you have been working as a LPN for a while you may find yourself getting bored and wanting to do more. This is where doing an online LPN to RN Bridge Program is the best way to move your way up the nursing ladder. An online program is so much better than attending classes on campus, as it allows you to continue working whilst continuing your ongoing education after hours and weekends, in the comfort of your own home. There are several colleges and universities that offer both on-campus and online LPN to RN Bridge Programs, including Chamberlain University, which is a revered and reputable institution of many years standing. Chamberlain College of Nursing has been in existence since 1889, and was formerly know as Deaconess College of Nursing. 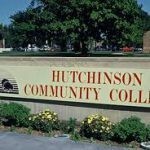 It started off as a diploma school of nursing, but has evolved over the past 123 years into one of very few colleges that offer online LPN programs that serve the field of nursing exclusively. The Deaconess name stemmed from the Deaconess tradition of 19th-Century Europe, which was started by Theodore Fliedner of Kaiserswerth, Germany, who established the initial Deaconess Home and Hospital in 1836. Fliedner invited young single women to join in the Deaconess Sisterhood to assist him in his mission. The word deaconess means “one who is devoted to service,” an none was more so than one of his early students, the young English woman, Florence Nightingale, who became the founder of modern professional nursing as we know it today. 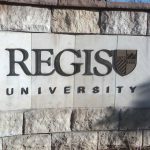 The name-change happened because the college was sold to DeVry Inc. in 2005, and one of the terms of sale was that they could only continue to use the name until the end of September 2006. 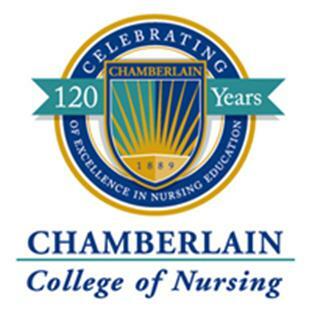 Chamberlain was chosen because it is a derivative of the word “chaumberlein,” which means “chief steward,” which alludes to the critical role that the nurse plays in patient care. Chamberlain’s onsite and online LPN to RN bridge option is a degree completion program for qualified Licensed Practical Nurses wishing to pursue an Associate Degree in Nursing and become Registered Nurses. It is specifically designed to meet the changing healthcare needs of the American society and the changing learning needs of students. The program can be done online or on-site at Chamberlain’s Columbus, Ohio campus. LPN to RN Bridge students are granted up to 10 credit hours, consisting of 7 in nursing and 3 in general education towards an Associate Degree in Nursing. The hours are awarded through the Chamberlain College Articulation Plan, otherwise known as CCAP, and they represent credit for knowledge acquired in previous practical nurse education programs. The content taken into consideration for credit awarded includes both theoretical training and hands-on experience in basic maternal nursing and nursing of newborns, the nursing of children, adults, geriatric patients, and mental health nursing as well as developmental psychology. LPN students must successfully pass a validation test of adult health content in order to receive this transfer credit. The test for this is part of the course requirement for NR 225 – Transitions in Professional Nursing. Applying for admission to Chamberlain’s Undergraduate Degree Programs is very simple. You can either apply online or download an application form in PDF format. Either mail or fax the admission documents to the address indicated on the application. Make sure to read the Instructions for Applying to Chamberlain’s Undergraduate Degree Program before submitting your application so as to ensure that you have included everything that is required of you. Also read the program requirements of the program in which you wish to enroll. You will have to undergo an interview with a Chamberlain admission representative. Once all the all admission requirements are fulfilled you will be advised in writing of your admission status to a specific Chamberlain program and location. Each location or online program arranges their own registration and orientation schedules. The coursework can be completed online from anywhere, but the clinical requirements must be fulfilled at the Columbus, Ohio campus. An online didactic delivery model is utilized for parts of the curriculum. This online LPN program requires that you have a high-speed cable, LAN or DSL Internet connection. You will need to use either Internet Explorer or Firefox browser. Java 1.5 or higher needs to be enabled, and you will need Adobe Flash Player, Adobe Acrobat Reader, Apple QuickTime Player, Citrix Receiver Client, and an e-mail account. It is recommended that you use the email address provided to all students by Chamberlain. All courses will include information for obtaining and installing the appropriate plug-ins, information regarding technical requirements and a helpline number should you require any assistance. Regular interaction with the faculty, live interactive chat sessions between students and faculty, and virtual labs for laboratory-based general education courses make this online LPN program great. It is a very structured course as far as instruction goes, with regular testing and weekly assignments. In order to be accepted into the Chamberlain College Articulation Program you must complete an application and be accepted into Chamberlain College. A minimum high school cumulative GPA (CGPA) of 2.75 or a minimum college CGPA of 2.75. The college CPGA must include 24 or more credit hours, excluding developmental courses, from an accredited institution. CGPA achieved in the last five years may take precedence over a prior CGPA. Failure to disclose attendance at other colleges is grounds for denial of admission or for dismissal. A minimum ACT composite score of 21, minimum SAT critical reading and mathematics reasoning (CR-M) score of 990, or a minimum A2 Admission Assessment score of 75. 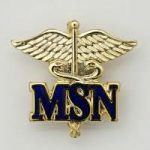 To provide evidence of an active, current LVN or LPN license issued in the United States of from a jurisdiction that is an associate member of the National Council of State Boards of Nursing (NCSBN). The LPN to RN bridge program is a two-year program, and you will need to complete all the following subjects in order to pass and become an RN. This online LPN program requires dedication and commitment, so make sure that you have what it takes before embarking on this journey. 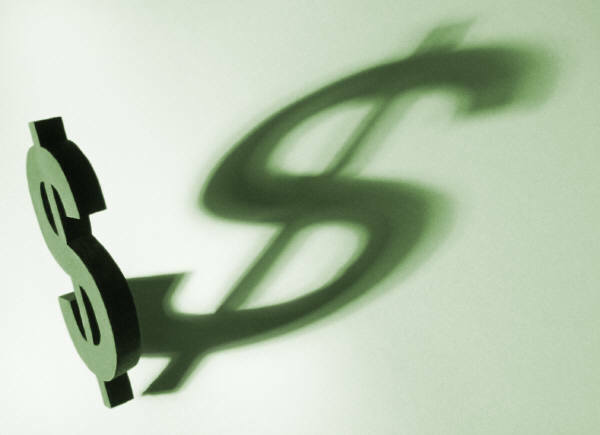 Although nearly $ 48 000 may seem expensive to you, remember the end goal, which is to improve your education, which will increase your chances of employment in the nursing profession and afford you an increased salary. There are many similar programs offered, but they are not all accredited, and it does not follow that the cheapest is bad or the most expensive is the best. It is for this reason that you should not try to base your decision as to which school you will attend purely on the cost of the program. Weigh your options carefully and choose the best school for your particular circumstances and needs. Just because you are doing your LPN to RN training online does not mean that you are not eligible for financial assistance. 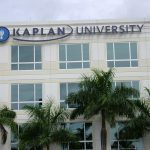 There are many financial aid programs and scholarships available for LPN nurses to avail themselves of in order to complete their education at Chamberlain University. The first step that you need to take to find out if you qualify for financial assistance is to complete and file the Free Application for Federal Student Aid (FAFSA), which serves as an application for all federal and most state student aid programs. FWS is a program whereby students in financial need can earn a portion of their educational expenses by working at the school, private agencies, or non-profit institutions at a fee equivalent to the current hourly minimum wage. Chamberlain College assists students to locate employment in these cases. The CampusRN Scholarship Fund offers scholarships in Arizona, Florida, Illinois, Missouri, Ohio, Texas, and Virginia. 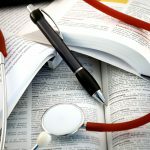 When it comes to any form of study, especially an LPN program, it is best that you ensure that the institution through which you do your course is accredited, or you will not be taken seriously in the medical or nursing profession and it could cost you dearly. Most prospective employers require that their staff have qualified from an accredited school because the accreditation signifies that the school adheres to strict standards laid down by the various accrediting bodies. Chamberlain College of Nursing is accredited by The Higher Learning Commission, which is one of the six regional agencies that accredit U.S. colleges and universities at the institutional level. It is also a member of the North Central Association of Colleges and Schools. Chamberlain’s Bachelor of Science in Nursing degree program at the Addison, Arlington, Chicago, Columbus, Houston, Jacksonville, Miramar, Phoenix and St. Louis locations and their Master of Science in Nursing degree program are both accredited by the Commission on Collegiate Nursing Education (CCNE). 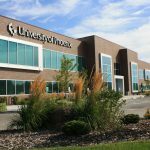 In addition, their Bachelor of Science in Nursing degree program and Associate Degree in Nursing program at the Columbus location are accredited by the National League for Nursing Accrediting Commission.